Click here to learn more about our Agent Websites with WFRMLS IDX Integration. In order to display IDX Listings from WFRMLS (UtahRealEstate.com) on your website you must enroll in WFRMLS IDX RETS Services. The fee for utilizing WFRMLS IDX RETS Services is $50. Enrollment is simple. To get started please follow the steps below. 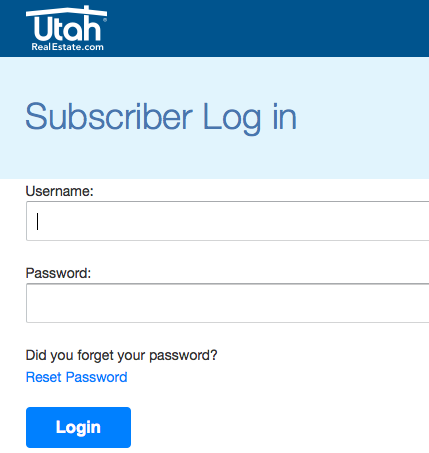 Log on to your UtahRealEstate.com account at https://www.utahrealestate.com/auth/login. 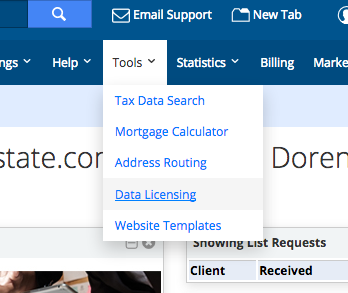 Select "Data Licensing" from the "Tools" menu item. Click the "Start IDX Setup Wizard" link. You'll need to complete each step. Be sure to select "ProAgentWebsites.com" as your vendor. Enter your website domain name under the Display Website section. Once you are approved by your broker you'll be able to pay UtahRealEstate.com the one-time fee of $50.00 and finish the IDX RETS signup. At that time UtahRealEstate.com will notify us that you're ready to go and we can build your site. If you have any questions regarding UtahRealEstate.com Listing feeds please contact ProAgentWebsites.com Customer Service or call UtahRealEstate.com at (801) 676-5400.